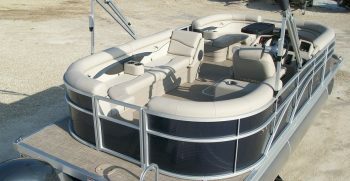 2019 Bennington 20SSRCX Tri-toon. 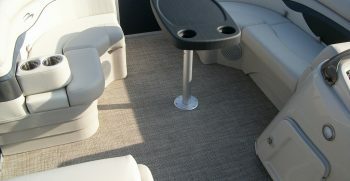 The symmetric rear seating arrangement offers the most seating of any floorplan. 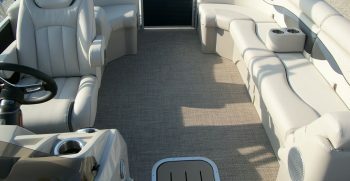 This one features sandstone upholstery, Seagrass woven vinyl flooring, in-floor storage, Ocean Blue Tweed canvas. 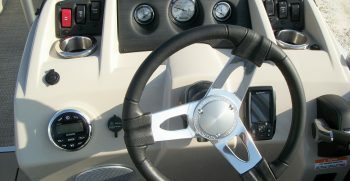 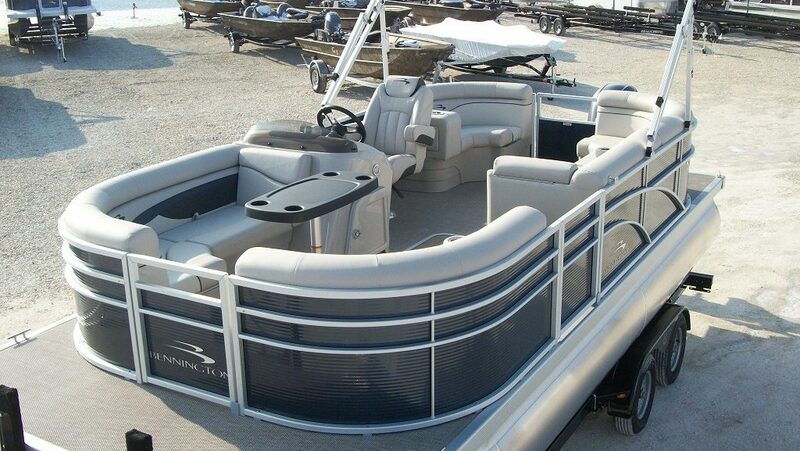 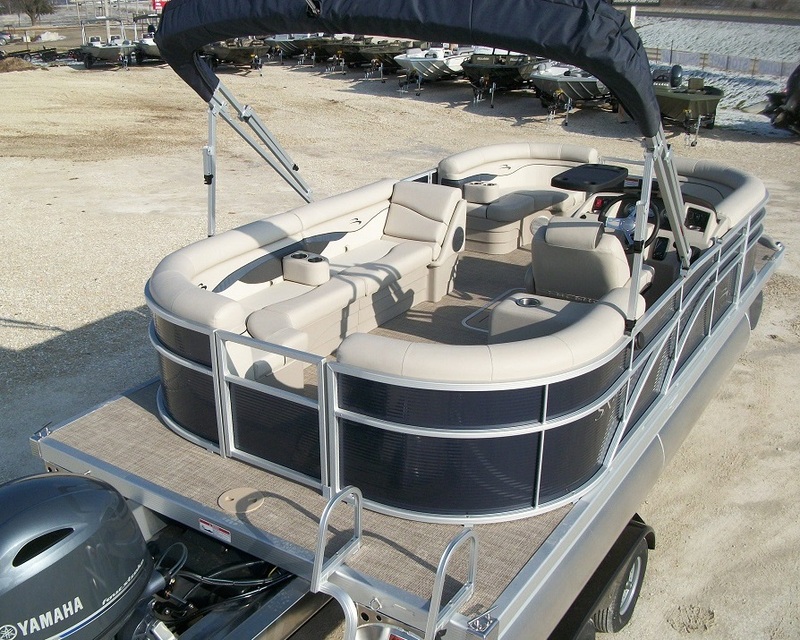 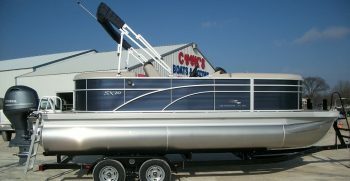 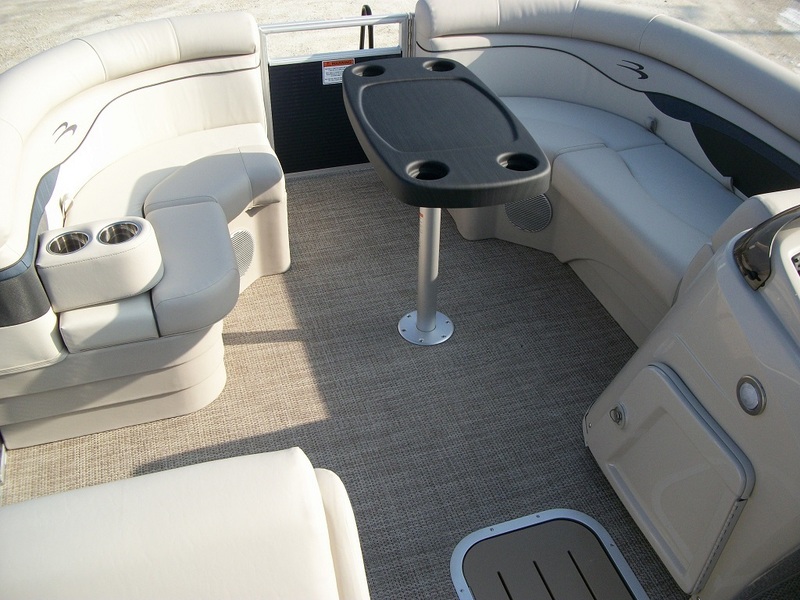 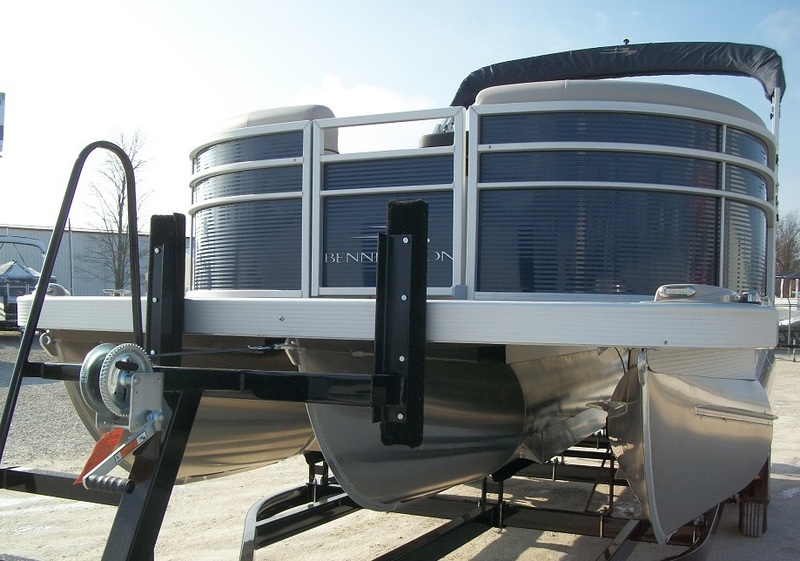 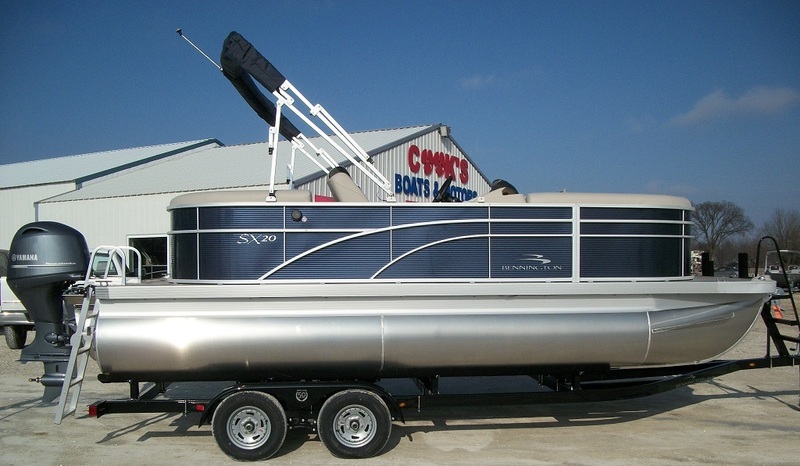 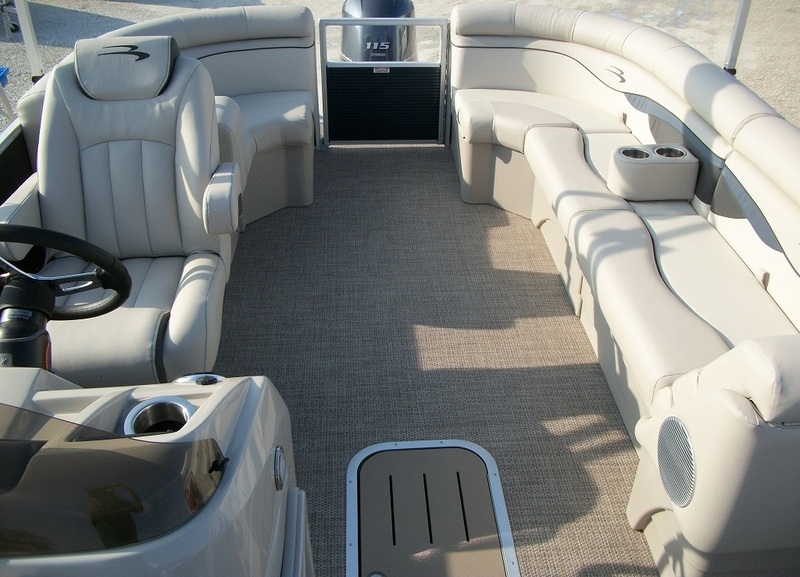 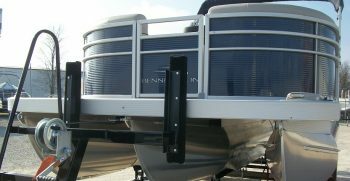 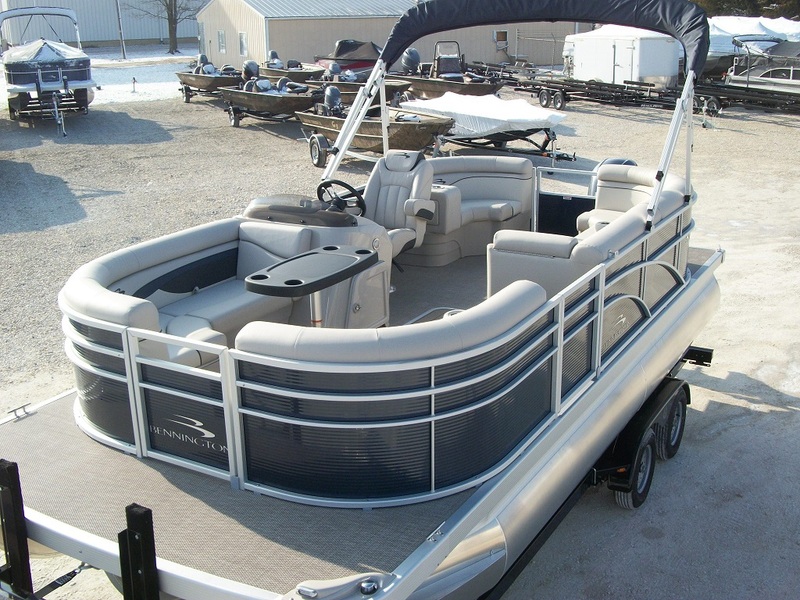 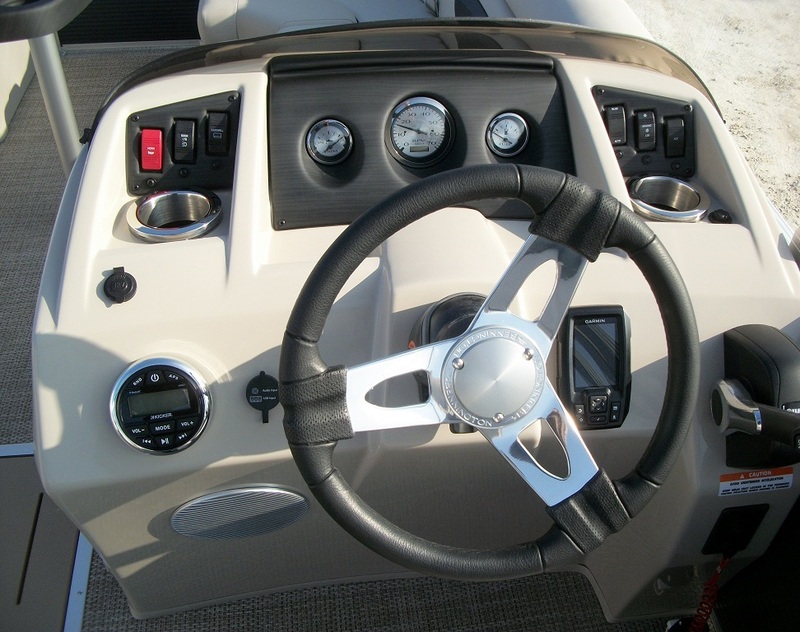 With the ski tow bar, hydraulic steering, and a 115hp Yamaha, this is an economical sports pontoon to entertain the whole family for years to come.